← Regain Your Focus and Vitality: Secure Respite Care. While most of us may immediately think of putting our elderly loved ones in retirement homes, we may have to consider the advantages of opting for in-home care instead. Although we may be skeptical as to how employing home care services for our elderly loved ones can be better, we should first remember that we also have to take into consideration what our senior loved ones prefer. More often times than not, you may tend to be so overwrought with worry about your senior loved ones being on their own that you fail to remember that they still are very much capable in handling their daily activities, only that some assistance is required. 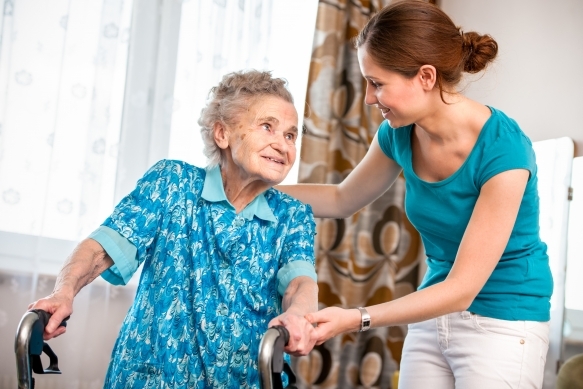 Because home care services usually charge per hour, it will be much cheaper to employ in-home care only for the services required by your elderly loved ones, instead of setting them in a home where there is a monthly or even annual contract. Of course, there is no place like home. Just as you are much more at ease when in the safety of your own home, your senior loved ones would also prefer to still be within the familiarity and comfort of their own abode. They would be able to carry on with their daily activities, hobbies, and interests, only with the guide and assistance of a care provider. In a retirement or nursing home, there are other seniors’ needs to consider, so personalized care cannot usually be given. In-home care, though, allows for services that are tailor-fitted to your senior loved ones’ needs and lifestyle, as they are the only ones receiving the care and assistance. Do you know that more elderly individuals fear being moved into retirement homes more than they fear death itself? Even with faced with a debilitating illness, seniors would still prefer to live out the remainder of their lives in their own homes, and because of this, they will actually gain more of the strength to recover and live more happily. We all want what’s best for our senior loved ones. That is why deciding between a retirement home and in-home care, choose one that is best-suited with the needs of your elderly. Also, when deciding on the best non-medical home care in Winter Haven FL, look to Compassion Home Care. We are a team of dedicated, compassionate caregivers who aim to provide high-quality care in Florida. At Compassion Home Care, we foster a healthy, safe, and happy environment for your elderly, disabled, or ailing loved ones so they can live independently and as comfortably as possible in their own homes. This entry was posted in In-Home Care Services and tagged Caregivers, Companionship care, Non-Medical Home Care, Respite Care. Bookmark the permalink.